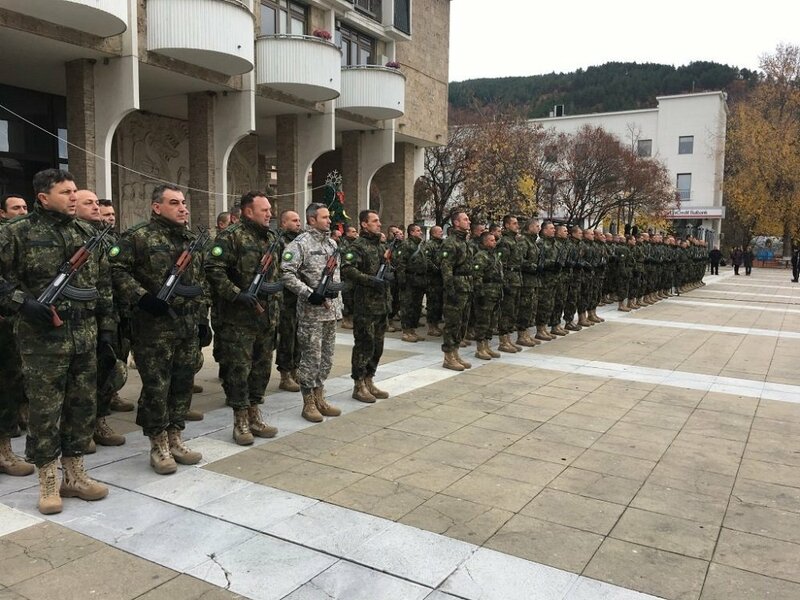 BLAGOEVGRAD, Bulgaria (BulgarianMilitary.com) – Today (29th November) at a ceremony held at Macedonia Square in Blagoevgrad, the Bulgaria’s 37th military contingent was officially sent to participate in NATO mission in Afghanistan “Resolute Support”. The official ceremony was attended by the Bulgarian Defence Minister Krasimir Karakachanov, the Chief of Defence General Andrey Botsev and the Commander of the Bulgarian Land Forces Major General Mihail Popov, learned BulgarianMilitary.com. Krasimir Karakachanov expressed his confidence in the preparation of Bulgaria’s contingent to represent our country with dignity in the next mission to fulfill our international commitments, wishing them success. Responding to journalist’s questions, Bulgarian Defence Minister said that the situation in Afghanistan remains complicated, but he hopes that all our servicemen will return successfully. The number of the military personnel in our mission there has been increased since last year and at this point there is no need to be increased further. He considered all Bulgarian missions abroad successful, pointing to these in Kosovo, Bosnia and Herzegovina and Mali, saying that all the missions from which our soldiers have returned alive and healthy and highly evaluated for their dignified performance, are identified as successful. Karakachanov also stated that there will be new funds allocated for repair projects for the Land Forces equipment. During today’s ceremony, the Minister of Defence awarded three servicemen assigned to Brigade Command – Blagoevgrad, who rescued a person from fire in the village of Piperkov Chiflik and the Chief of Defence General Andrey Botsev handed a certificate for participation in the NATO mission to the 37th contingent. The national commander of the contingent Colonel Mitko Dimitrov noted that the training held since the beginning of the summer gives them confidence that they will perform the tasks of the NATO mission with dignity and honor. 158 servicemen are included in the 37th contingent of the Bulgarian Army, involving a national element, a company for protection, a team of advisors and staff officers. In the NATO mission in Afghanistan, Bulgarian troops will carry out tasks mainly related the check regime of the automobile and pedestrian traffic at Kandahar International Airport, as well as to the training and methodical support of the Afghan National Army units.